Relish the simple twist to your everyday style that Pink Present Short Tunic Top with Designer Umbrella Sleeves provides. This Snehal Creation piece is one of its kind in terms of the fine floral thread work in white that beautifully adorns its round neck line and a central neck panel. 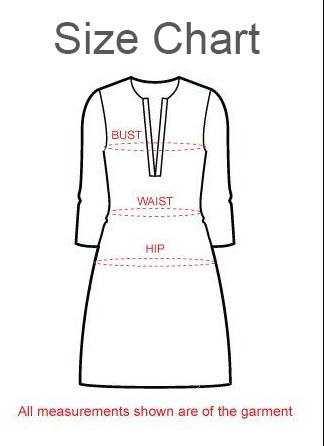 The full sleeves of the tunic are wide mouthed and are round edged at the central fronts of the sleeves while they are divided by an embroidered line of white thread through the length of the sleeves. Even a casual pair of blue jeans can be brought to life with this piece from our collection.